Momma Told Me: Diamonds are a girl's best friend. It's not much of a surprise, as a child of the 90's I often fancied myself Jasmine from Aladdin, combing through mountains of treasure, diving through gemstones as big as my hand. 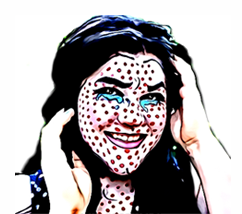 While it's all fine and colorful Disney, such a reality would probably be quite uncomfortable and hardly romantic with the musky smell of an underground cave hidden thousands of years. None-the-less, I have always seem far more enamored with loose stones than those that sit atop gold bands and sparkle from the inlay of pendants. After all, the saying isn't "Diamond rings are a girl's best friend," It's simply 'diamonds,' those little clear stones that catch the light and shimmer so magically. I still remember a few years back when soy candle companies decided they could bolster their appeal by placing jewelry inside them. It was a radical new concept that brought a childlike whimsy to the act of burning a simple candle, and women clamored for them; manufacturers could not keep up with the demand. But there was one, undeniable downfall, the odds that you would uncover a ring that was to your size, let alone your taste, was highly unlikely. Then Precious Gem Candles arrived, with the same high quality soy candles, in premium fragrances, and reusable glass jars, but with a new twist. 1 in 1000 candles would have a genuine diamond inside, and the rest would reveal a precious stone valued between $20-$5000. With tempting fragrances like Ginger Crumb Cake and Tahitian Vanilla, the only downfall I can find is the lack of presence of an unscented candle for the allergy prone. Much like their competitors, in the Precious Gem Candle category, these fine quality soy candled need only melt a few inches down to reveal a little capsule which houses it's surprise. Unlike other brands, that place their products in zippered bags within foil, the gemstones are safely enclosed in a keepsake container that keeps your gem clean and ready to display. With up to 80 burning hours per 12oz candle, you'll only have to wait about 8 to reach the 'reveal point' and uncover your gem. 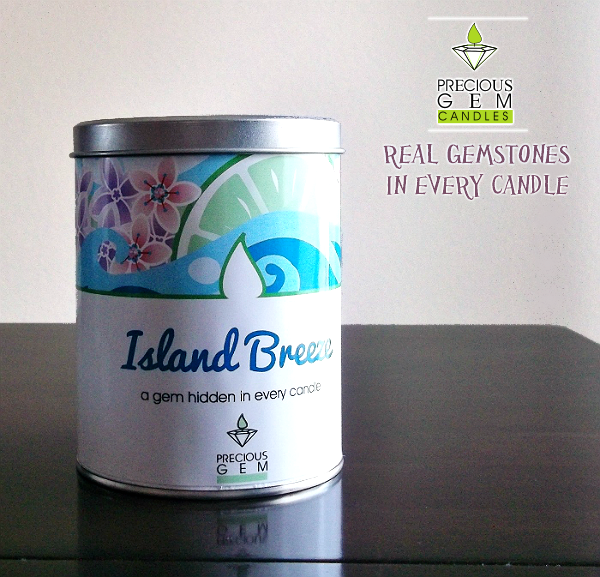 In my Island Breeze candle I found a pendant cut teal gemstone that radiates shades of green and blue, depending on the light. My candle seemed to want to burn away from the actual capsule, so I was mindful to check back and rotate the flame, to allow even burning, every few hours. 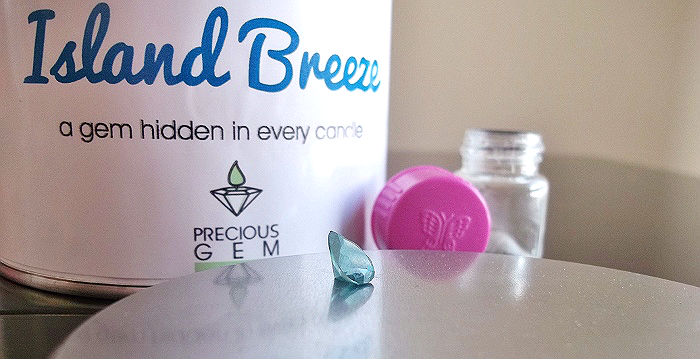 If you're not the sort who dreams of keeping a mountain of gemstones on the nightstand, Precious Gem Candles has several uses for the gem stones you uncover. From Set-Your-Gemstone rings and pendants, to beautiful glass lockets, your favorite stones will never go to waste (which is more than I can say for the bowl full of 'too small' rings I've accumulated.) Many of the Precious Gem fragrances are very strong, and feature exotic notes, and are available in standard glass pillars, body massage, and melting tarts. And there is currently free shipping on ALL candles, which helps offset the cost of some of the 'other' brands. 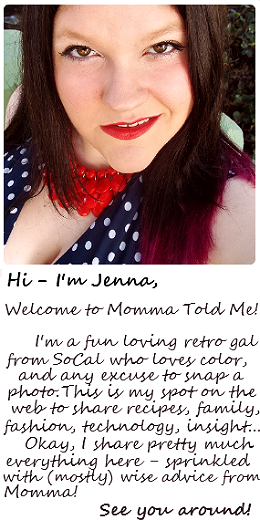 What Daughter Says: Don't collect jewelry, collect Precious Gems that will never go out of style! 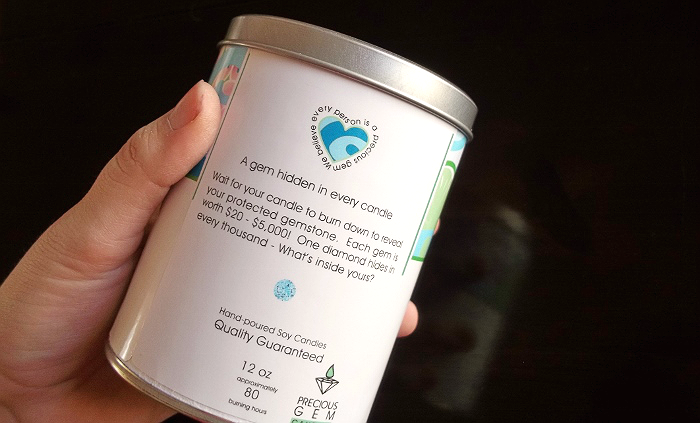 One Momma Told Me reader will win a Precious Gem Candle of choice! Oh the scents sound so wonderful. I love nutcracker though so that is the one I would pick. I'm very intrigued by Love Shack, esp as a massage candle. 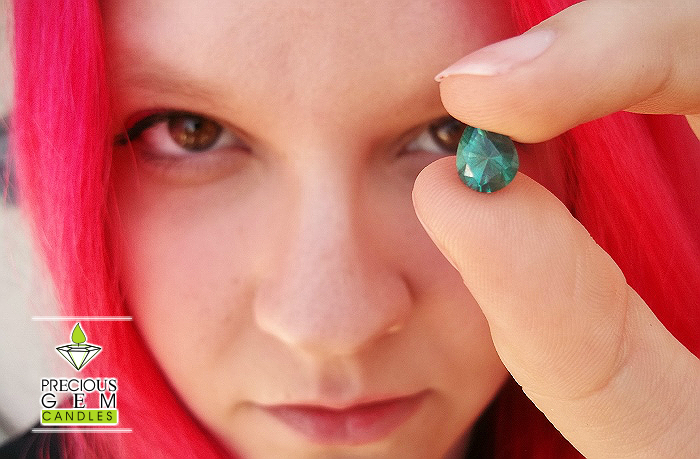 I love the idea of a gemstone instead of a ring. I have very small fingers (size 5), so "standard" rings are always way too big on me. I also like the fact that you can do whatever you want with the gemstone, instead of being stuck with a ring that you might not want. I would pick the honeysuckle candle. 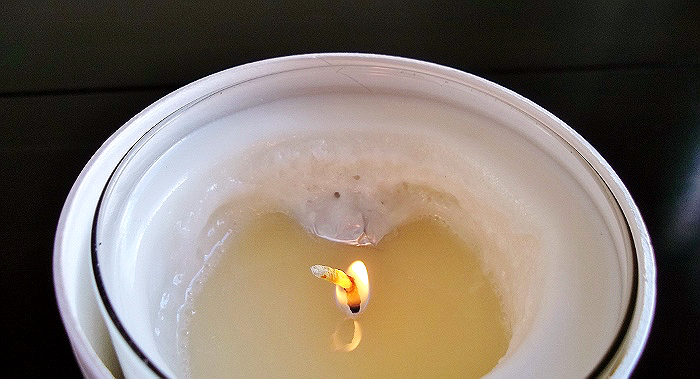 The Tahitian Vanilla Luxury Soy Candle. I think I would choose the Tahitian Vanilla. I'm a big fan of vanilla. Thank you. All the scents sound so wonderful but I would select the Tahitian Vanilla. I would pick the tTahitian Vanilla candle if i won. Thank you. If I won, I would choose the Essence of Morocco scented candle. I'd like the Cucumber Melon – Body Massage Candle. I'd choose the Chocolate Raspberry Truffle – Luxury Soy Candle. Thanks. If I won, I would choose Amber Romance! Sounds awesome! I bet those smell nice - the names sound interesting too. I think I'd get the Moon Glow candle! 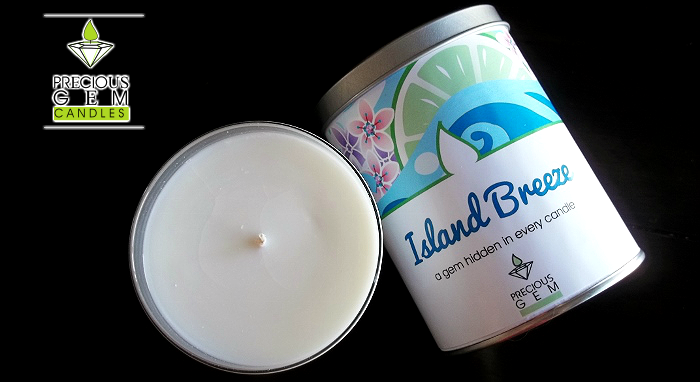 I would like to try the Island Pear candle. I would choose the Chocolate Raspberry Truffle.